The hype seems to be that there isn’t so much of an epidemic as advertised. Some think the new standards will be a more accurate reflection on the scope of the problem. It could mean that parents who believe their children need treatment will have less access to services, because required DSM-5 criteria may not be met. Parents and practitioners need to understand the landscape because useful interventions might not be afforded to those who can benefit most. Therapies are more likely to be successful when there is less functional impairment. For better or for worse, families that utilize, and/or expect to receive services, will probably experience little change. These tips might help make sure that your children get the treatments they need. 1. It’s complicated. Try to familiarize yourself with the pertinent changes in the new criteria as they apply to your child. For evaluation and treatment purposes, don’t be concerned about other conditions that have been added or left out, if they are not your child’s issues. 2. Though Aspergers’ patients may be upset that there is no longer a defining nomenclature, communication disorders are now included in a much broader sense, actually. So, take advantage of available interventions. 3. Because PDD-NOS is now incorporated, developmental interventions should become available for a wider variety of conditions, which may not have been supported in DSM-IV. If your child has been given this diagnosis previously, and few/no services were offered, such inclusion should help. 4. Documenting the level of impairment requiring support is imprecise and quite subjective. Pointing professionals in the right direction will help ensure that services are ordered. 5. Although “impairments in communication” have been eliminated, there are several other designations that cover many commonly observed problems. These include deficits in conversation, relationships, and speech. 6. One requirement for diagnosis is the demonstration of “Restricted, repetitive patterns of behavior…” Just about all stimming is going to fulfill this criterion. Plus, sensory symptoms are now included. 7. 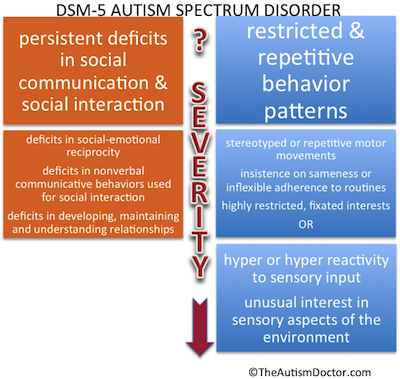 ‘Social interaction’ continues to be a key issue for the ASD diagnosis. Clinically, kids who don’t/won’t play are a real challenge. Make sure that any formal assessments include this deficit, if it exists in your child. 8. 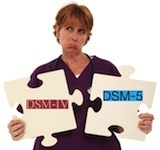 It took 17 years to get to DSM-5. 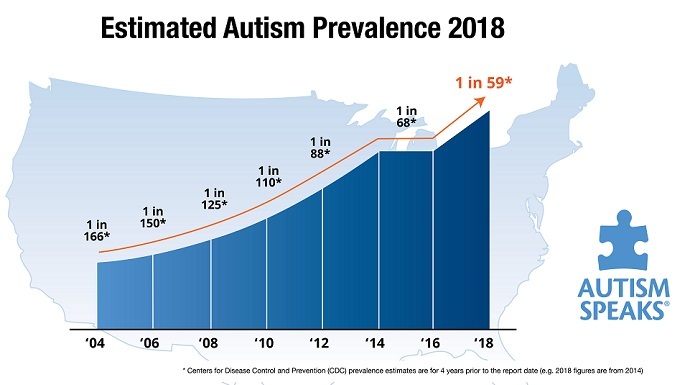 Supporting information appears to be more than 3 years old; so, in an evolving epidemic, we still might be missing the mark. The good news is that the powers-that-be seem to demonstrate an open mind, at least in the conferences that I have attended. Formal evaluations may require frequent revisions to stay up to speed on this moving target. 9. No longer should doctors assign the mushy “Oppositional, sensory, ADHD, poor focus, developmental delay” diagnosis. It’s called Autism Spectrum. 10. In this highly fluid environment, the doctors, teachers, administrators, therapists, and other professionals involved in your child’s care need to stay up-to-date, so that they can steer you in the right direction. This entry was posted on Sunday, January 26th, 2014 at 2:47 pm	and is filed under >ALL<, Alternative and Complementary Medicine for ASD, Asperger's Syndrome, Autism Therapies, Conferences, Earliest Red Flags, News-Maybe-Worthy, Research. You can follow any responses to this entry through the RSS 2.0 feed. You can leave a response, or trackback from your own site.